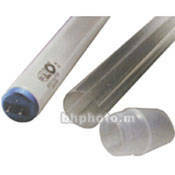 For permanently mounting a gel filter to a fluorescent tube. A pack of 50, it includes glue. Box Dimensions (LxWxH) 9.6 x 8.1 x 3.7"